Following a closely contested series of regional heats, the organisers of SkillFRIDGE are delighted to reveal the six apprentices that have topped the national table and qualified to compete in the 2018 final. Bath College is the only training provider in the 2018 competition to see two of its students make the top six: Chandler Davison and Kevin Ballantine. Chandler, who topped the national rankings and will be the recipient of the SkillFRIDGE National Winner accolade, is employed by Thermocold Ltd – a family-run business working in and around the South West region – and is set to complete his four year apprenticeship course in September. 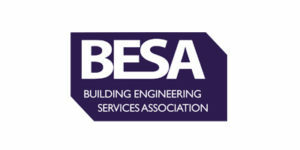 The Building Engineering Services Association (BESA) has provided a platform to recognise the highest national scoring competitor and Chandler will be invited to receive his accolade at the BESA National Awards, taking place on November 1st at the Park Plaza Victoria London. Kevin Ballantine spent fifteen years in other trades before pursuing a career in RACHP, after his elder brother asked him to partner with him and start their own company; TKB Air Conditioning. Sam Gills is employed and trained by Star Refrigeration – the UK’s largest independent industrial refrigeration engineering company – and has also qualified to compete in the SkillFRIDGE final. Sam has been an apprentice at Star Refrigeration’s Newcastle branch for three years, and aims to complete his apprenticeship by his fourth year. Prior to starting his apprenticeship, Sam completed work experience at Star Refrigeration and enjoyed learning on the job and working on various refrigeration plants, cooling different applications. The diversity of a RACHP career also caught the eye of another SkillFRIDGE finalist, Thomas Thompson, who studies at Grimsby Institute and is employed by Refrigeration Lindum – experts in commercial and industrial refrigeration, much of whose business is associated with the expanding fresh and frozen food industry. The sixth finalist for the SkillFRIDGE 2018 competition is Edward Davis, who studies at Cardiff and Vale College and is employed as an apprentice by Dunbia Foods, a meat processing factory in West Wales. He has just finished the second year of his two year apprenticeship, which he was put forward for by an on-site refrigeration engineer after showing an interest in how the ammonia plant operated. SkillFRIDGE Competition Operating Partner (COP) Manager Karena Cooper comments: “This year the regional competitions were a showcase of real talent, so qualifying for the final is a huge achievement for which our top six apprentices should be congratulated. The six competitors will now undergo a series of intensive training days provided by industry experts in preparation for the final, taking place at WorldSkills UK LIVE – the UK’s largest skills, apprenticeships and careers event which attracts over 73,000 young people annually – held at the NEC Birmingham from 15-17 November. 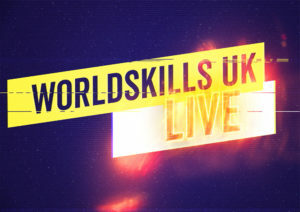 For more information on WorldSkills UK LIVE or to register to attend, visit www.worldskillsuk.org. To find out how your brand can benefit from sponsoring the SkillFRIDGE competition – from wide industry exposure to a platform to reach the next generation of engineers at WorldSkills UK – contact Karena Cooper on 01622 699 150 or at kcooper@datateam.co.uk.